Mussorgsky's Pictures at an Exhibition is one of the few works you can hear differently every time. 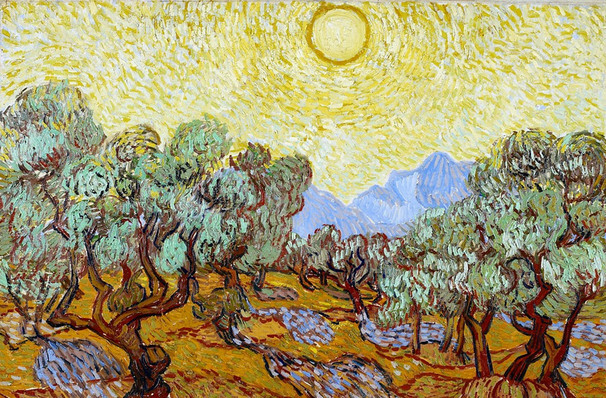 Why See Colorado Symphony Orchestra - Pictures at an Exhibition? The Colorado Symphony Orchestra welcomes special guest composer and conductor Jayce Ogren to the hallowed Boettcher Hall stage for a fresh spring program of works by Sibelius, Khachaturian and Mussorgsky. The ensemble will also be joined by violin virtuoso Claude Sim, a renowned performer who's proved his virtuosic mettle during his tenure as soloist with the Chicago Symphony Orchestra from the age of 21. Sim lends his bow to Sibelius' 'Romance For Strings', 'Finlandia', 'Triste' and Adam Khachaturian's Armenian folk music-inspired Violin Concerto before the program arrives at its final piece and star of the bill Pictures At An Exhibition. Composed by innovative Russian Romantic composer Modest Mussorgsky and arranged by French impressionist maestro Maurice Ravel, it portrays Mussorgsky himself walking from one painting to the next in remembrance of his dear friend, Russian painter and architect Viktor Hartmann. Sound good to you? 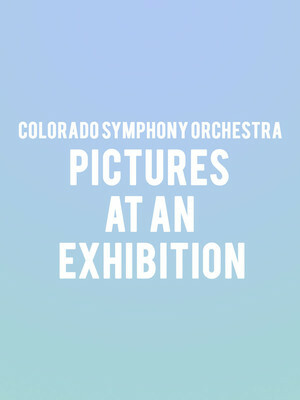 Share this page on social media and let your friends know about Colorado Symphony Orchestra - Pictures at an Exhibition at Boettcher Concert Hall. Please note: The term Boettcher Concert Hall and/or Colorado Symphony Orchestra - Pictures at an Exhibition as well as all associated graphics, logos, and/or other trademarks, tradenames or copyrights are the property of the Boettcher Concert Hall and/or Colorado Symphony Orchestra - Pictures at an Exhibition and are used herein for factual descriptive purposes only. We are in no way associated with or authorized by the Boettcher Concert Hall and/or Colorado Symphony Orchestra - Pictures at an Exhibition and neither that entity nor any of its affiliates have licensed or endorsed us to sell tickets, goods and or services in conjunction with their events.